The 2012 Rock and Rock Hall of Fame inductees have officially been announced. On April 14th live in Cleveland, Ohio, the Red Hot Chili Peppers, the Beastie Boys, and Guns N’ Roses will be celebrated. Other inductees include 1960’s pop stars Donovan and Laura Nyro, and the band the Small Faces, also known as the Faces. The ceremony, which will air in May on HBO, inducts musical acts a quarter century after they drop their first album. Guns N’ Roses released their first album in 1987 titled Appetite for Destruction. With hits like “Welcome to the Jungle,” “Sweet Child o’ Mine,” and “Paradise City” Guns N’ Roses made a big splash onto the music world, but did not take long to part ways and withdraw from the mainstream. The Beastie Boys have been in the music world for over 30 years, but it was their 1986 album License to Ill that gave the three men the ability to say they made rap’s first ever number one album. While never recreating the success of that 1986 album, the Beastie Boys have kept going strong for their fans to this day. 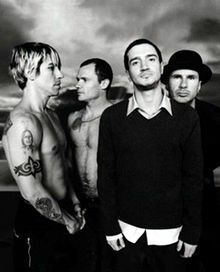 The Red Hot Chili Peppers have been making hits since 1984 and have been a fan favorite ever since. They have won Grammy’s and have enough hit songs to fill up your iPod.